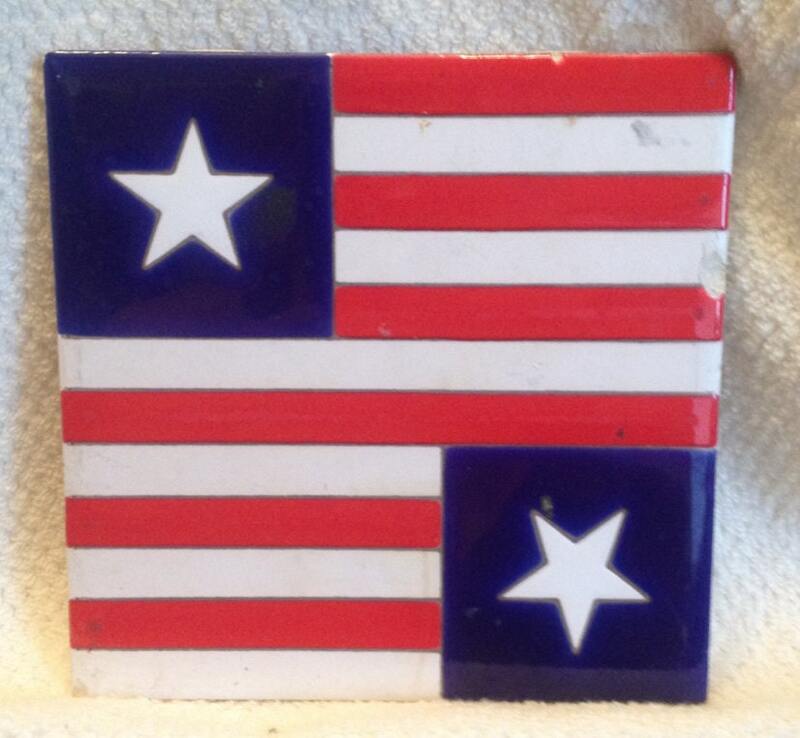 Vintage (1980s) Besheer Art Tile/Trivet. 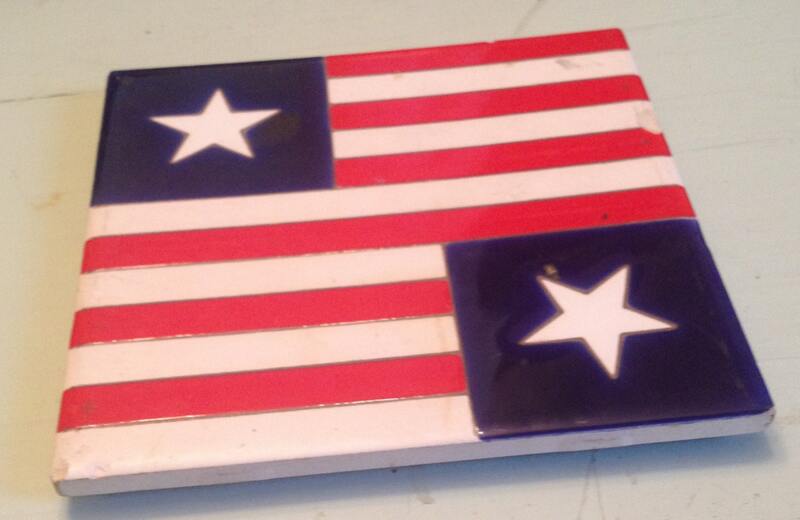 Stars and Stripes design with cork back. Made in USA. 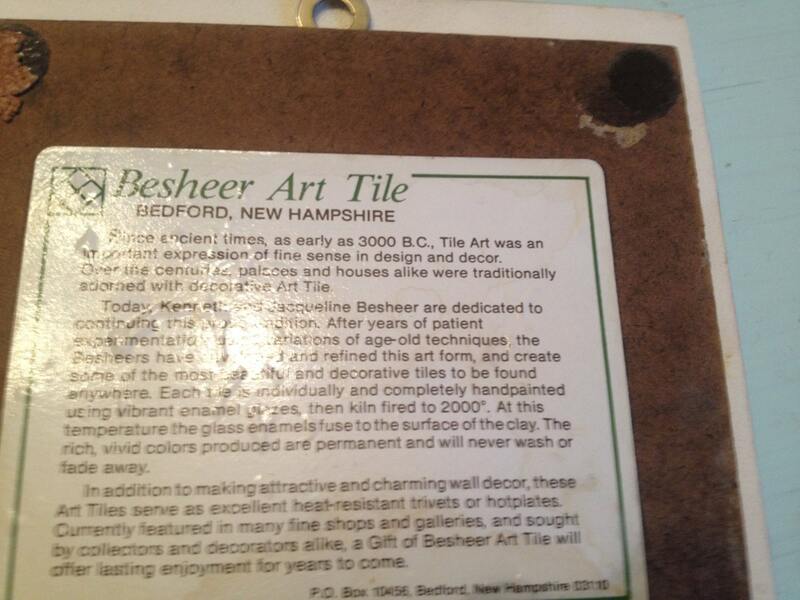 Vintage (1980s) Besheer Art Tile/Trivet. Star and Stripes design with cork back. Made in Bedford, New Hampshire, USA. 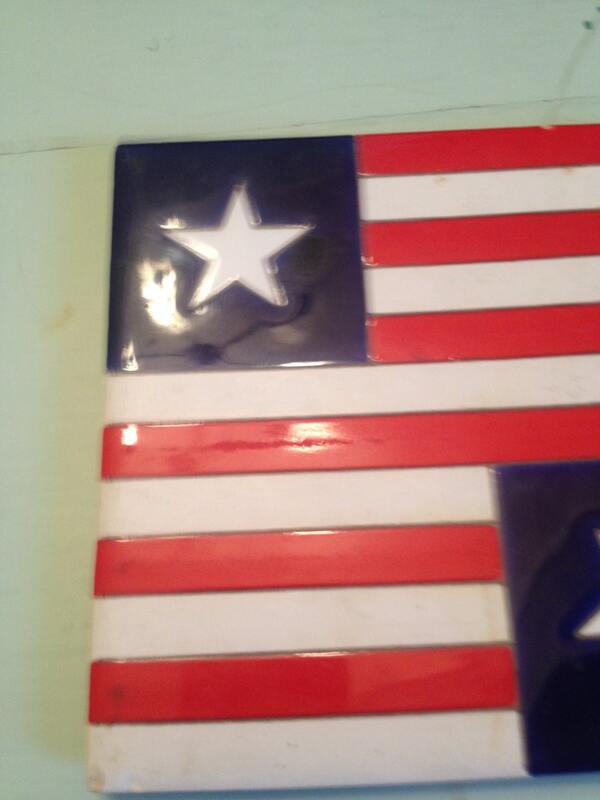 Tile has 2 nicks to the edges (please see photos) otherwise in EXCELLENT! condition. Approximate measurements: 6" square (measured edge to edge).